Filth & Glory. NYC in the 70s. 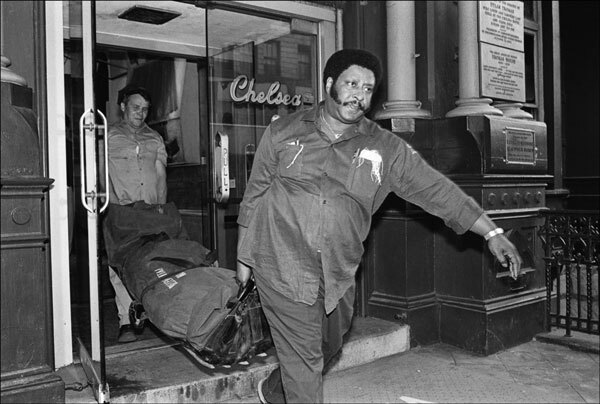 These and numerous other unforgettable images are available in DIRTY, DANGEROUS & DESTITUTE | NEW YORK IN THE 70s: Photos by Allen Tannenbaum at The Selvedge Yard. Many people still think NYC is this way. It ain’t. I visited NYC as a wide-eyed teenager during this era and met pederasts, opium dealers, and prostitutes without even trying. I visited again as a young man at the end of the decade, goggly over the music scene (which was already packaged and dying). When I finally moved to NYC in 1988, large parts of it were still pretty ragged. You could cop dope behind The New York Public Library and get shot on Avenue B. You could also accidentally start a fire in your apartment and not get kicked out. Or so I have, uh, read. For all the dings on his soul, Rudy G really changed this town. He made it much more expensive but also much, much safer and more livable. Today it is one of the safest and most beautiful cities in America. A lot of change in a short time. This entry was posted in Community, Culture, Curation, NYC, photography, Publications. Save this: http://www.zeldman.com/2010/05/05/nyc-in-the-70s/.